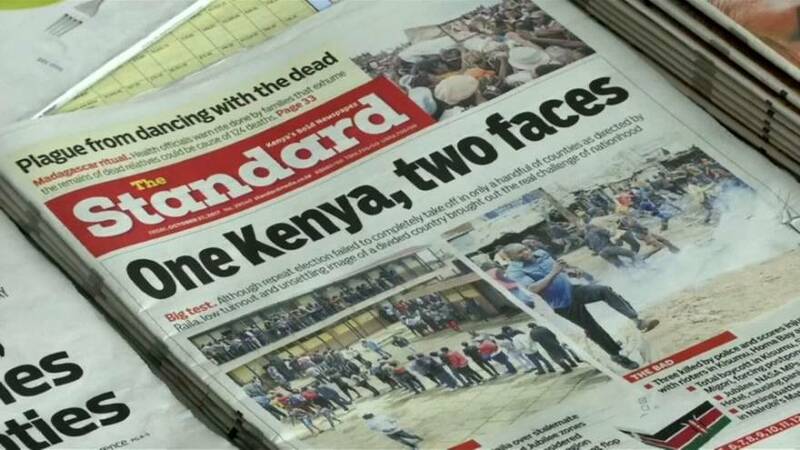 Kenya’s election commission says about six and a half million people – a third of registered voters – went to the polls in a presidential election re-run that was boycotted by the main opposition group. Nearly 80 percent voted in the August election that was later nullified by the Supreme Court. President Uhuru Kenyatta was declared the winner in August; opposition leader Raila Odinga says the process is not credible. In the capital Nairobi on Friday people expressed their frustration with the country’s politics. The low turnout in Thursday’s election deals a blow to President Kenyatta’s hopes for a decisive second-term mandate. His victory isn’t in question – but less clear is his ability to unite the east African nation, whose deep ethnic divisions have been exposed during the controversial process.